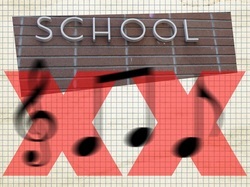 Chula Vista, CA—A talented Salt Creek Elementary School kindergartener was recently turned down from playing the guitar while singing a song at his school’s upcoming May 23 talent show. The unwarranted—and unconstitutional—rejection didn’t come due to lack of talent but because the song, “Our God Is Mercy,” is a Christian song. When the young student was told that he wouldn’t be in the show, he was crushed. The student’s mother contacted Pacific Justice Institute (PJI) for assistance and Senior Counsel Michael Peffer stepped in to help correct the situation. In light of the case-law sent to school administrators, PJI is hopeful that they will make the right decision. The school, however, has not released a final decision on the issue. Pacific Justice Institute is a non-profit legal organization dedicated to defending religious, parental, and other constitutional rights.